Wolfram Eckert, head of the Diskokaine organisation does the job with a massive modern Italo killer backed with mixes from Skatebard, King Of Kong and Speculator. 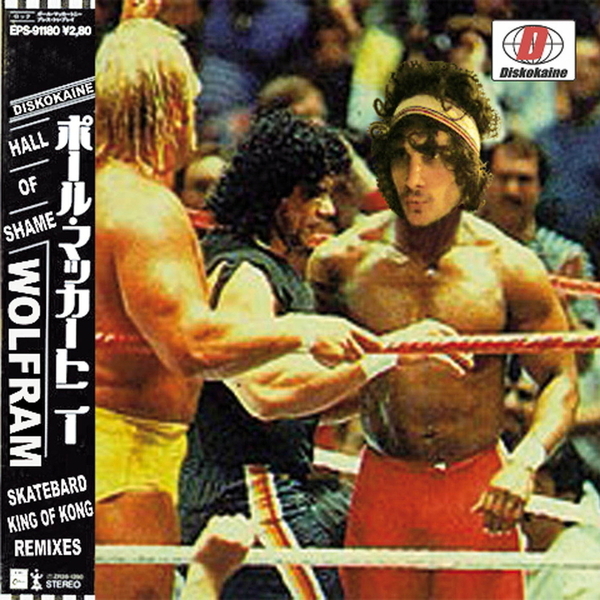 If you're of that inclination, 'Hall Of Shame' should have you giving it the pouty power mince to throbbing bassline arpeggiations and screaming big room chords. Skatebard contributes a wicked EBM flavoured version with moody widescreen synth washes while King Of Kong takes it to a downtown Chicago gay club with big piano breakdown and Speculator does the John Carpenter thing in style. Fans of Johan Agebjorn, I-F and classy modern Italo need to check this.